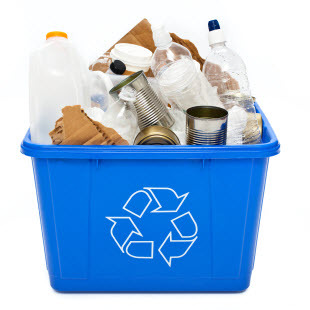 A new Salt Lake City ordinance that passed on December 8th, 2015 is requiring businesses and multi-family complexes that produce 4 or more cubic yards of waste per week to recycle. The reason for the ordinance is that businesses and multi-family residences produce half of all waste in Salt Lake City but only recycle 10-15% of that waste. This ordinance capitalizes on a huge opportunity to reduce the amount of waste in our landfills and recover important resources that would otherwise have to be mined from the Earth. Once the ordinance was enacted, waste haulers had 6 months to become authorized, while business and multi-family complexes will have 2 years to start recycling. After those 2 years when recycling among these businesses and residences becomes widespread, it is estimated that more than 20,000 tons of recyclable material will be kept out of Salt Lake landfills. This will help to increase the life of an already stressed system of landfills across the valley. The ordinance states that these recycling services must be easy to access for customers and tenants so as to make sure that landlords and businesses cannot circumvent the ordinance. However, commercial properties without enough space for a bin can request to be reasonably excluded. Certain representative groups for commercial properties are concerned about the ordinance and feel that it will put stress on their budget by forcing them to make renovations to their properties, costing them money. Another reason that commercial properties might not be inclined to recycle is because trash disposal rates are very low for Salt Lake City. 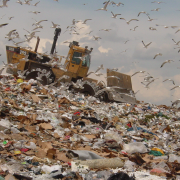 Low waste disposal costs incentivize people to send more to the landfill rather than to recycle. However, the long-term savings of increasing recycling would eventually make up for any short-term costs that might incur. Even though tipping fees are relatively cheap currently, they do add up over time, especially with a large amount of waste. When commercial properties are required to recycle, they will send less to the landfill and so be charged less in the long run. This ordinance is a positive step in the right direction toward creating a more sustainable city and making Salt Lake a more appealing place to live. I hope that in the future Salt Lake will continue to be a champion for recycling and continue the move toward zero waste! 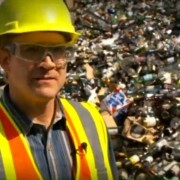 One of the most common questions I get when I tell people that I have a degree in environmental studies is “Why can’t I throw glass in with my other recyclables?” The answer I usually give is, “It’s complicated” – but, I gave this answer because before working for a recycling company, I only really knew the basics of why. 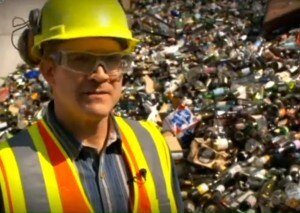 Before beginning my internship at Momentum Recycling, I looked into why recycling in Utah is split between glass and everything else. What I found is that it really isn’t all that complicated after all. I found that it makes sense to separate glass from the other mixed recyclables for several reasons. 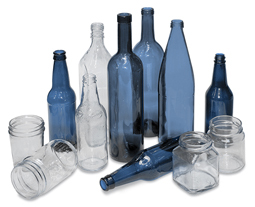 One of biggest benefits of sorting glass at home is that it reduces the costs of separating the glass later. This is significant because those costs are often later transferred to the producer of that trash, which is us. In sorting our glass out beforehand, we can reduce the cost of our waste. But perhaps more importantly, we can enhance the quality of recycled material in the long run. When you have a single stream recycling system in which all recyclables go together, the glass will inevitably break apart into tiny pieces. These tiny glass fragments get mixed in with the other recyclables, such as paper, and are essentially impossible to get out (think of a needle in haystack). This leads to a decrease in the quality of materials recovered, which translates to fewer options for potential outlets/products. Why is this a problem? If a recycling process is able to create products that are of higher quality and can be turned into a larger variety of products, then this decreases the need for virgin materials. With single stream systems, the material that comes out is often not as high of quality as the material that went in. This means that more raw materials must be taken out of the Earth. This costs a vast amount of energy and resources that could be left alone if we just spent the time to sort our recyclables beforehand. Of course, there are also drawbacks to separating glass out of the waste stream. The main one being that people don’t want to separate their recyclables and so end up sending more to the landfill. However, by limiting the amount of trash people can throw away or by charging them for how much they send to the landfill, you can make sure people will sort their recyclables. People would much rather spend a little extra time sorting than paying more money. Single stream recycling is at a crossroads. 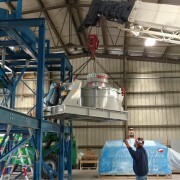 There are so many different recyclable materials used today that material recovery facilities (MRF’s) are unable to effectively sort them all out properly. Glass, plastic bags, and food waste all create problems for recycling systems and we could make these systems considerably more efficient and effective by moving toward multi-stream recycling. 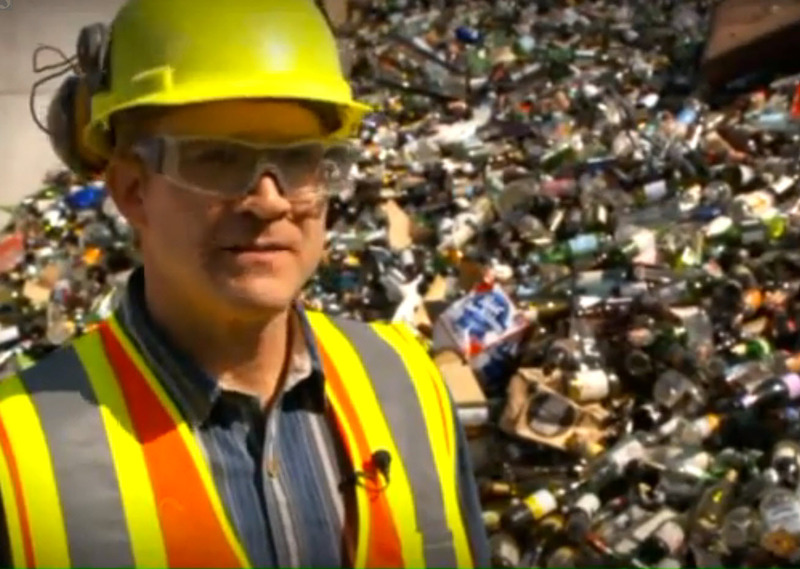 Here in Utah, by not throwing our glass into the mixed recycling bin, we can produce much higher quality recycled materials while at the same time capturing more glass for recycling. https://utah.momentumrecycling.com/wp-content/uploads/2016/08/Mixed-Recycling-Bin.jpg 310 310 Momentum https://utah.momentumrecycling.com/wp-content/uploads/2018/12/Momentum-Logo-2018.png Momentum2016-08-24 08:30:182016-08-10 14:28:46Why Can’t Glass Go in the Mixed Recycling? 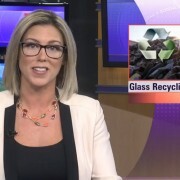 ABC 4 News covers Momentum Recycling’s expansion of its curbside glass recycling service to Salt Lake County residents in partnership with the Wasatch Front Waste & Recycling District. View the video clip here. The Deseret News also visited Momentum’s glass processing facility during our Open House on May 23rd. Click here to view photos. 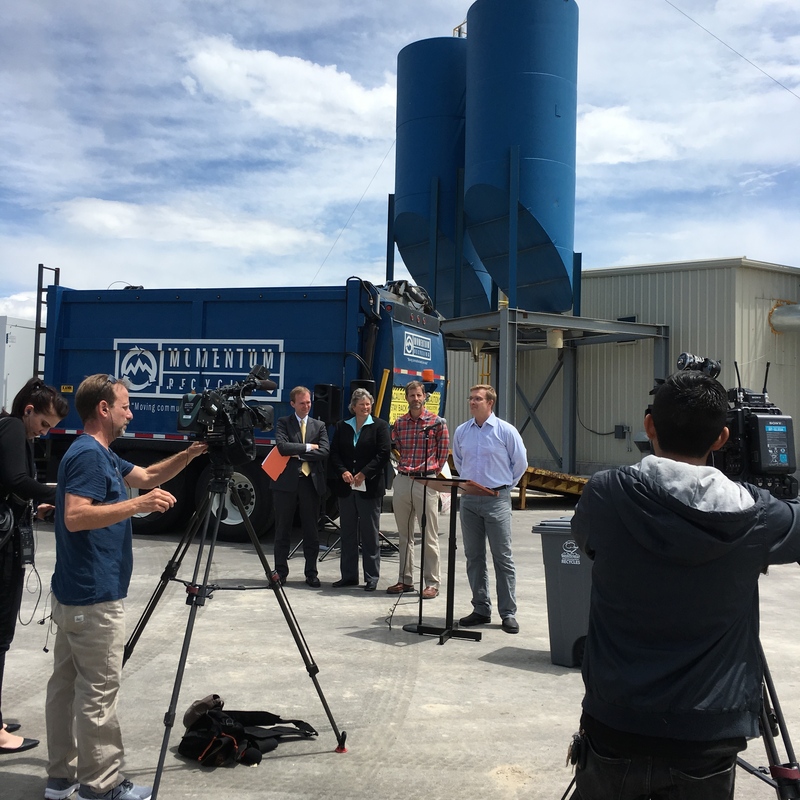 Fox 13 News highlighted the recent downturn in the prices of recyclable commodities produced from Salt Lake County’s recycling collection services. Momentum Recycling’s own John Lair discusses the value in creating a local economy for recyclables rather than relying on the global economy to make recycling viable. Click here to view the video coverage and read the article.